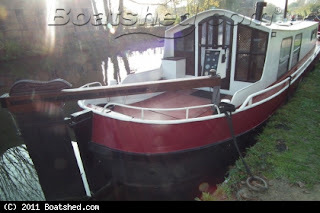 A while ago I discovered another (blogging) narrowboat family who live aboard while refurbishing their boat! 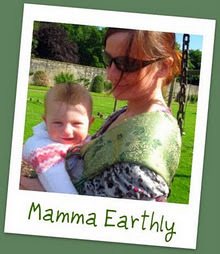 Mamma Earthly is a “creative, earth mother, vegetarian, food lover, tree hugger, yogi, off-gridding and travelling through life's many varied possibilities.” She has kindly given me permission to use a blog post of hers that I love, as a guest post here on Narrowboat Wife. Inspired by Boat Wife's Motherboard Top Ten, I've wanted to write a post about boat living for a while. Recently I've been really struggling on board and have on more than one occasion expostulated "I want to live in a house!" along with a tirade on the myriad problems our water-borne home poses to any kind of sane living. So I thought I should write a "positive" top ten, but then realised that that may not give you much of a real idea about our day to day experiences - so here's a compromise, a well-balanced top ten: five good, five bad! 1. There's not much privacy on a narrowboat (especially on our mooring which is part of a World Heritage Site!). And people are pretty darned nosy sometimes!! 3. More than other boaters, we struggle for services as we have none installed yet. So we fill up several 5 litre water bottles every day from the BW water point and empty our cassette loo and have showers at a BW service block about 20mins drive away. We take our own rubbish and recycling to our nearest recycling centre, also about 20 mins drive. 5. Life is pretty physical and exhausting sometimes and as yet we have no "haven" like a permanent bedroom to retreat to when we feel ill or knackered or just need to mentally and physically shut the door on things for half an hour. 1. We own our house (though we are paying off a small loan for it) and so are (a) not tied to a mortgage for the next 30 years and (b) don't have to put up with "inspections" and other hassles from rental agencies. 2. We don't get post, which I see as a bonus as we needn't put up with tonnes of junkmail, bills and nasty letters from your electricity supplier threatening to cut you off. We simply get any important mail delivered to a c/o address. 3. On that point, we have no service bills, just our licence and mooring fees to think about. We buy our own gas and generate our own electricity. 4. Having to create/look after/buy/collect/dispose of our own services and used items really makes us much more aware and frugal as consumers. On average we use about 20-30 litres of water a day, have a shower 2-3 times a week and try to keep our washing to a minimum (which is easier said than done with kids and our lifestyle). We get a vegbox delivered to our boat and try to make trips to the supermarket as rare as possible (particularly as we can get a lot of what we need locally). 5. We can move our house! We have plans to travel much of the South West network and would love to go to the Fens, but we do need to find a few spare weeks or months! A little dell of sanity and positivity. Imagine effortlessly absorbing the history of the canals by relaxing in a canal-side pub, listening to a couple of folk-singing boaters, complete with waistcoats and flat-caps. This is against a backdrop of projected historical photographs and you are provided with a song sheet so that everyone can sing along with each chorus. Last Saturday I went to see Life & Times perform their 250-years-of-the-canals show 'Where the Working Boats Went'. The performance was in Cheddington village hall, and I could definitely imagine it being a bit more raucous at a folk festival or a 'spit and sawdust' pub where the audience might sing along more heartily. I think we all enjoyed the broom dance though; a quirky boater's tradition that I'd not heard of! From the Duke of Bridgewater to roses and castles, the 'iced-in' winter of '47 and the revival of the cut as a place for pleasure boating; Barry Goodman and Graeme Meek have got a song for everything. The canal age began when the 3rd Duke of Bridgewater commissioned his canal in 1759. The waterways became popular for transporting everything from fruit and cheese to turpentine. When the advent of the railways caused the demise of the canals, they were re-invented and rescued as a leisure resource, which is more popular than ever today. The show is in two 45 minute parts with an interval. Part 1 is set in the early 1870s. Two No.1s meet beside the canal and discuss life on the cut for themselves and their predecessors. Part 2 is set in the late 1950s, about 10 years after the Nationalisation of the waterways. Two boatmen in a canal-side pub consider how life on the canals has changed since their fathers’ day and how it might be in the future. Graeme Meek and Barry Goodman travel England from Birmingham to Banbury and beyond with their songs and next year their bookings already include Hitchin, Pulloxhill, Beds. Duton Hill Folk Club, Essex, Chadwell Heath, Essex and The Woburn Sands Folk Festival, Bucks. If you can't make it to any of these shows there's a CD available by mail order for £11. 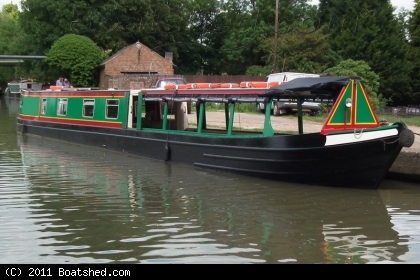 There are still traditional narrowboats working on the waterways to this day, selling fuel to live-aboard boats. A more modern way to work afloat these days is to run a trip boat. 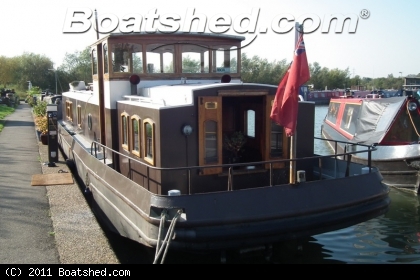 Check out this 70ft trip boat as part of a business for sale at Boatshed Grand Union. Alternatively if you don't want to work afloat you may like to live afloat on a 70ft Cruiser Stern Narrowboat with large accommodation. There was once a girl who wanted the moon on a stick. She spent her days weaving her tangled ideas into dream blankets that described some sort of patchwork, freelancing, free-wheeling, literary dream-cake career. The kind with a steady income and a predictable accounting spreadsheet: A day when she woke up and knew exactly what to focus on. But she was constantly distracted from these serious dreams by newspaper adverts and email job alerts, an inbox full of possibilities and application forms for steady jobs that every-girl wants. So she competes with every-girl and has a go and treads carefully over her patchwork dreams while they toss in their sleep. She reaches and grabs for safe secretarial work, tiny transcription teases and ordinary admin alerts. Then, like a firefly her attention is suddenly diverted, inspired by stories of mighty mumpreneurs who are having it all and doing it all and somehow they know what to focus on, and they build great towers of financial stability from their humble kitchen tables, whilst probably baking sugar-spun biscuits with their home-made gingerbread children. The girl with the moon-wish peers in at these golden lit kitchen windows in awe, wondering how her feet got so tangled in her dreams, so that now she can hardly put one foot in front of the other. She tip-toes away from the golden window of opportunity and back into the twig-snapping, safe darkness of a forest of dreams. Yesterday's girl was a real writer and wrote every day about the poetic paradoxes of narrowboat family life; the good, the bad and the lovely. But everything changes and lately she finds there is not even time to write about the real life of a narrowboat wife. Many thanks to the very talented Louis Dyer who allowed me to use the image 'Losing a Dream'. 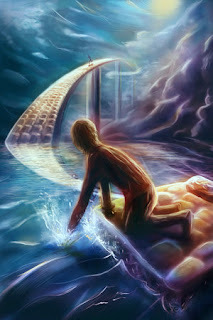 Visit his Deviant Art page Plagued by Images where fine art prints are available. 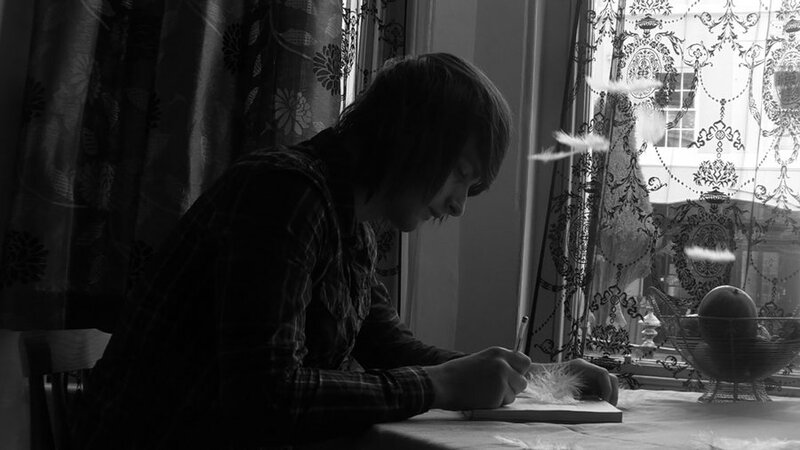 Louis says, "Most of my art revolves around my inability to sleep, or sometimes awake from... lucid dreams, astral projection,sleep apnea/paralysis,interest in mental illness and spirituality etc." Canal frozen, Angel Islington, London. As part of my Living Aboard series of blog posts I wrote an article titled Is it Cold in Winter? The past two winters have been exceptionally cold and more of the same is forecast for the end of this year. British Waterways, with assistance from the Residential Boat Owners Association has recently produced a guidance document explaining what services will and will not be provided in extreme weather conditions. 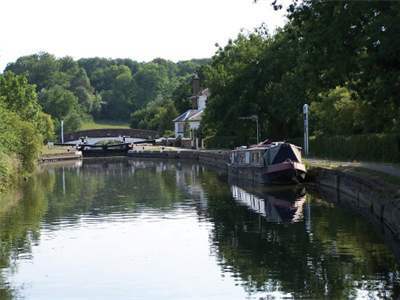 British Waterways will arrange for contractors to visit mooring sites to repair emergency plumbing problems, electric faults and frozen locks, (if there is no other access to the site.) They will organise follow-up calls if refuse collections are missed and will arrange grit delivery to sites with grit bins, (the grit is to be distributed on site by boaters). BW will not organise emergency call-outs for frozen water pipes or pump outs, as these cannot be repaired until they thaw. They will not arrange for the removal of sewage from a boat where there are working alternative facilities on site. BW recommend that boaters stock-pile water supplies in advance of a forecast freeze, as they will not supply on-site water bowsers (trailer mounted water tanks). BW offices will be closed from 2pm on 23rd December until 3rd January, but customers can report any faults by calling the Freephone Canals number 0800 47 999 47. Cruising in winter can be a challenge. 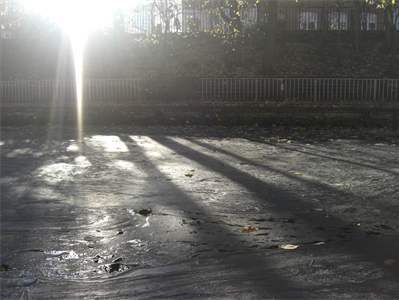 You will need to be aware of the dangers of ice and snow on towpaths, bridges and lock-sides. Keep well back from the edge and use handrails on lock gates. Hold on to something sturdy when getting on and off your boat. Clear snow from the gunwales and use grit when you can. De-icer and spray grease are useful for locks and padlocks on your own boat and on the boating facilities. Try to keep ropes out of the water as frozen ropes are difficult to work with! It may be an idea to keep spare, dry ropes indoors. Winter can actually be a good time to buy a narrowboat, barge or canal boat as you can really get a feel for what the boat will be like during the colder months, and go into it with your eyes open. 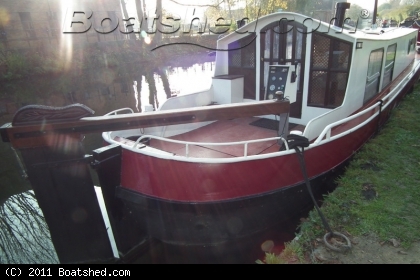 At Boatshed Grand Union you can see a great selection of photos of each boat before arranging a viewing. 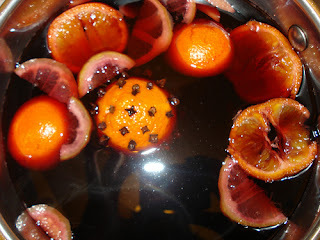 Finally, I am going to re-iterate my previous advice for boating in the winter: Put a casserole in the oven and some mulled wine on top of the stove! Midsummer Night's Dream. William Shakespeare. Twenty one years ago I fancied a boy at school. The school play was A Midsummer Night's Dream. He was Lysander, I was Head of Props. We drank cider and kissed at the cast party on the last night of the play. But we left school and we lost touch. Twelve years later he contacted me through Friends Reunited. We found out we'd both just been travelling in India at the same time. We found out that his new job as a research scientist was around the corner from my new job, at Friends of the Earth in Islington. We became friends and then more. He thought it was a good idea that I lived on a narrowboat, so he bought his own boat and we travelled together. Eventually I sold my boat and moved onto his boat. Stocker's Lock at Rickmansworth was our favourite mooring in 2006. We had a picnic beside the lake and he proposed. 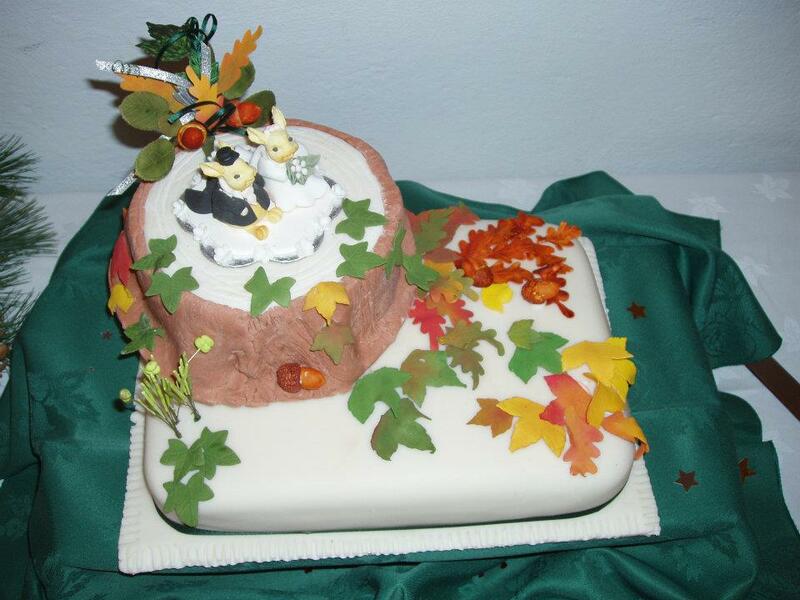 We got married on the 11th November, so that makes today our fifth wedding anniversary: 11/11/11. Flashback again to a girl who lived alone on a little red narrowboat called 'Emily Rose'. She was waiting for true love. She wrote a list in her notebook of the qualities that she was looking for. Someone passionate, creative, spontaneous, musical. Someone who writes. Be careful what you wish for, because wishes come true. No words can describe what it feels like to be in my kind of true love. But if I had to describe it I would say that wherever I travel, he is my home. I wanted to link this post up to Flashback Friday at Cafe Bebe, but I'm actually scheduling it to get posted while we're driving down to Plymouth to celebrate our anniversary. Visit Karin's Cafe Bebe to see other bloggers sharing old photos. Karin says, "Just take us back in time. Share some words to take us there and we can all get nostalgic and smiley remembering “when”. 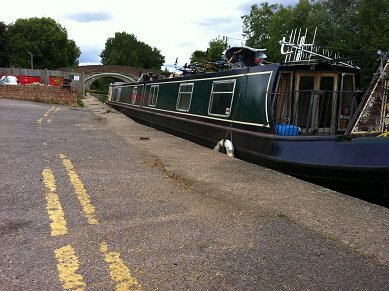 Boat 'parked' on double yellow lines. The new guidelines were created after consultation with waterways user groups such as the National Association of Boat Owners. They were published on 12th October 2011 and define more clearly what is meant by bona fide navigation and seek to ensure that enough temporary moorings are readily available for all cruising boats. Complying with these guidelines is one of the terms and conditions of purchasing a licence to continuously cruise. BW has also clarified that “Place in this context means a neighbourhood or locality, NOT simply a particular mooring site or position.” Circumstances where it is reasonable to stay in one neighbourhood for longer than 14 days are where further movement is prevented by events such as temporary mechanical breakdown, emergency navigation stoppage, impassable ice or serious illness. Critics of the new guidelines have voiced concerns about whether the regulations will be adequately policed and enforced by BW officers. While some boaters believe that the same boats appear to repeatedly occupy the same visitor moorings, some live-aboard boaters feel that their way of life is being persecuted and that there are not enough visitor moorings available in some areas, even when one is genuinely cruising (moving every fourteen days). Some boaters do wish to find a permanent residential mooring but BW admits that these are currently in short supply. BW has welcomed the announcement in August by the Housing Minister Grant Shapps which provided an incentive to local authorities to grant more consents for residential moorings. 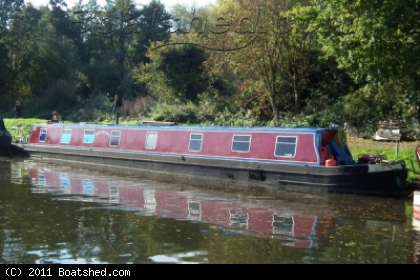 If you're looking for a second-hand narrowboat or barge to buy in London, Hertfordshire or the surrounding areas Boatshed Grand Union has plenty of boats for sale that are ideally suited to continuous cruising. Disclosure: I wrote this post for the Boatshed Grand Union blog. 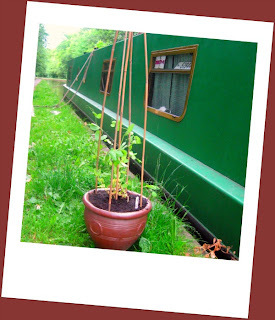 I live aboard a narrowboat with my husband and two young children. The first questions that people often ask us are about safety. Our children were born on board and have had the risks stressed to them every day. If you are planning to move a family on to a second-hand narrowboat or barge then there will be several potential hazards to become aware of. Just as you would do in a house, we keep our doors bolted shut. 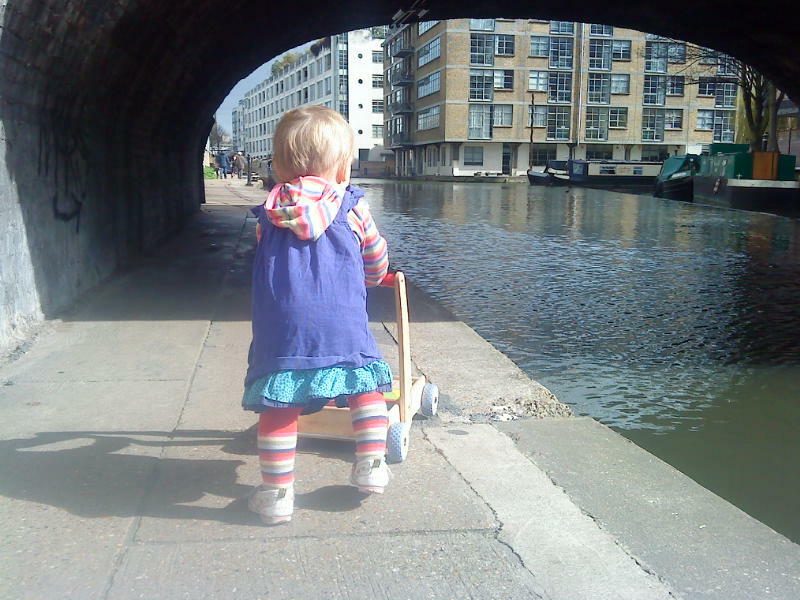 For summer days outside there are playpen barriers enclosing the front deck, but children must still never be left unsupervised while outside on a canal boat. Life jackets can be purchased from your nearest large chandlery and these may be of use to you if you have a mooring with a garden where the children can play, but we find them unnecessary for the daily walk to the shops or the car. Victorian working boat families secured their children to the roof of the boat by tying them on whilst travelling. Some families create a modern version of this arrangement using toddler reins to secure the child. In this situation they must still never be left unattended. The adult crew must also remain aware of the dangers of overhanging tree branches, low bridges and mooring ropes being thrown about. I have occasionally seen hire boaters allow their children to stand and walk on the roof of a moving boat, but ours have strict instructions to remain seated! I would not recommend allowing young children to be on deck unsupervised while cruising. Locks are particularly dangerous places because of the depth of the water and the strong currents below. I recommend repeating a set of simple rules to your children, which depending on their age could include 'stay close to a grown up' and 'hold hands when told to'. All children should be told to keep away from the edge and to never run beside a lock. If your boat does not have a home mooring the website of your local borough council will help you to find children’s playgrounds while you are cruising. The home page should have a link to leisure facilities and playgrounds; parks and gardens can usually be found in this section. For family life on board you may be looking for a boat to buy with two bedroom cabins. The Boatshed Grand Union website has a search facility to help you find second-hand canal boats for sale within your budget. I told her not to use fowl language. This post is dedicated to my mother-in-law, who worries about the grandchildren on the water. 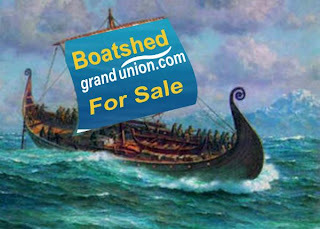 Disclosure: I wrote this post for the Boatshed Grand Union website.